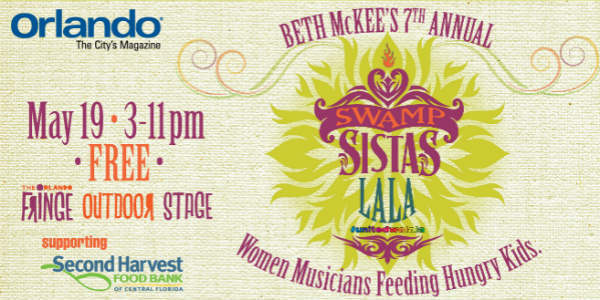 Aiming to fight hunger for a third year, Beth McKee and the Swamp Sistas Songwriter Circle will launch the La La Summer Hope Virtual Food Drive at Casselberry’s Earth Fest in Lake Concord Park on Saturday, April 28. Admission to the Earth Fest and the Swamp Sistas Songwriter Circle is free. The campaign will run from April 28 until the end of the La La May 19 at Orlando Fringe, where cash and check donations will also be accepted.